Archetypal backstage musical about putting on a Broadway show, from casting call to opening night. Actress Ruby Keeler is Peggy Sawyer, the ingénue, in her film debut. Landmark musical holds up pretty well considering its age, but features a storyline full of what would later become well-worn clichés. 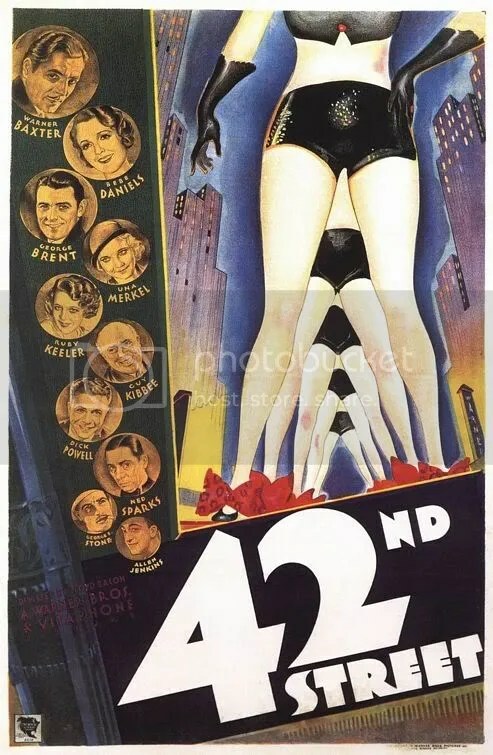 Three Busby Berkeley production numbers: “Shuffle Off to Buffalo”, “Young and Healthy”, and the title song, make up the last twenty minutes of the film. These numbers, are the real reason to watch. The last two, in particular, are an absolute tour de force of the chorographer’s talent.